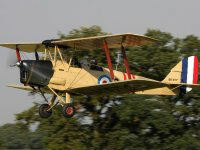 Helmet, goggles and scarf at the ready, strap into a 1930s Tiger Moth and take to the skies over Essex for a bird's-eye view of the Garden of England! 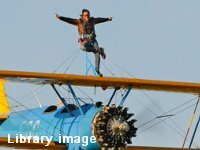 Sample the delights of a modern 2-seat aerobatic aircraft, with one of our qualified instructors. After a demonstration you will have the opportunity to take the controls yourself. Available all year at various locations in the south-east. 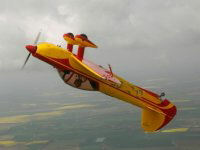 Sample the delights of a modern 2-seat aerobatic aircraft, with one of our qualified instructors. After a demonstration you will have the opportunity to take the controls yourself. Available throughout the year at various locations.